Kantar is dispensing with brands including TNS, Millward Brown, Lightspeed, Worldpanel and IMRB, and from 2nd April will deliver 'all services and offerings under the Kantar brand name'. More recent creations Kantar Consulting, Kantar Health, Kantar Media and Kantar Public will also be dropped, as will all country-specific brands. The WPP insight division is taking a number of major steps to try and turn round its fortunes after years propping up the results table for the group (2014, 2015, 2016, 2017, 2018), and is slated for a sale to an investor (majority stake) by the middle of the year, according to WPP Chief Executive Mark Read. Earlier this month the division launched a Marketplace on-demand research store, and in the last year it has formed a global analytics practice, bringing together more than 1500 data scientists, analytics consultants, technologists and data designers from across the business; and launched Brand Guidance Systems, which integrate validated survey measures data from social media, search, sales and media, plus behavioural data, to help optimise brand and campaign performance. Just over two and a half years ago, Kantar re-branded its twelve operating businesses with a unifying prefix, turning TNS into Kantar TNS, for example - with only digital data collection specialist Lightspeed exempted. The latest move finally drops many of the brands once synonymous with the MR industry in the UK and globally, and marks a distinct break with the Sorrell-era policy of leaving acquired companies and their brands in place. While there were some major exceptions - the Research International name had mostly disappeared long before today - Sorrell's strategy has often been questioned over the years by industry commentators looking to the relative cohesion of competitor global groups like Ipsos, which withdrew the Synovate brand just three months after acquiring it in October 2011. 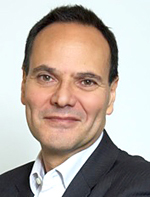 Kantar's Global CEO Eric Salama (pictured) says the move 'reflects the operational changes already happening across the company, and is driven by a desire to achieve simplicity, scale and impact for clients' - making the firm easier for clients to understand and work with. According to CMO Mandy Pooler, 'Simplifying our brand strategy is a subtle, but important signal of our evolution and our mission - inspiring the world's most important organisations by providing the most complete understanding of the people they serve'. Kantar employs around 30,000 people worldwide and there is no suggestion that the new names will mean any job cuts. Precise titles for the divisions and their leaders are yet to be announced.